"I enjoy being the Black Sheep of the family.Black Sheep are the prettiest and don't show as much dirt as the white ones." 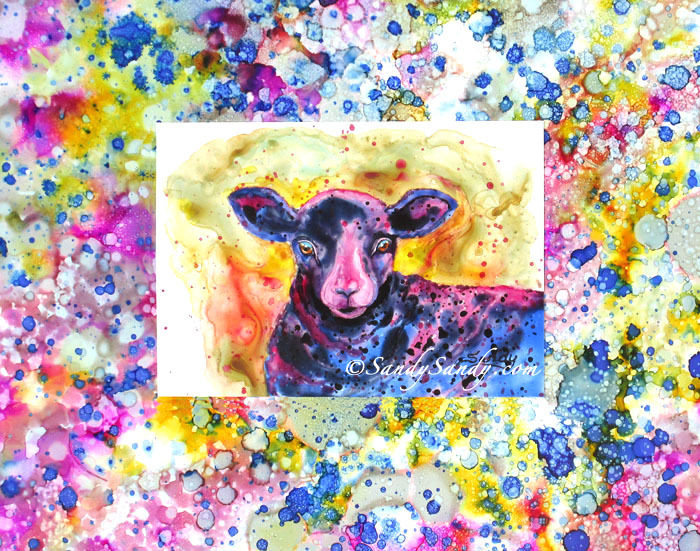 This watercolor painting is inspired by the nursery rhyme, "Baa Baa Black Sheep", which was originally written in the Middle Ages as a protest against unjust taxation on wool. Black wool was less valuable being almost impossible to dye, thus giving meaning to the phrase, "the black sheep of the family". The black sheep also implies nonconformity, which is usually a good thing.